New England’s track record is impeccable. They’ve maintained a solid control of the AFC since 2001. The only challengers have been the Pittsburgh Steelers, Indianapolis Colts and Denver Broncos (the last of which became a challenger when QB Peyton Manning switched over from Indy). Opposing teams dread playing New England because coach Bill Belichick has his game plan down to a science. However, no team is impossible to beat, and some coaches have picked up on a few things when it comes to knocking the Patriots off their pedestal. If Philadelphia wants to win Super Bowl 52, there are several things they should look to achieve. QB Tom Brady is going to move the offense if given time and space. We’ve seen it time and time again. When Brady has more snaps, he has more chances to pull off incredible comebacks, put up insurmountable leads and completely expose teams’ defenses. The Eagles need to do their best to keep him on the bench as much as possible. How can you do this? Most importantly, convert on every third-down opportunity. By earning another set of downs, Brady remains on the sidelines unable to do what he does best. Thankfully for the Eagles, they led the league in time of possession during the regular season. They averaged at least 33 minutes of possession in each game of this postseason. This bodes well for Philadelphia in regards to limiting Brady’s involvement. If they can work their run game and maintain short passes, they will eat up the clock and force Brady into a more rapid offense. Another way for the Eagles to help themselves is to pressure Brady when he is on field. This seems obvious, but it is how they should pressure him that’s important. Brady is more of a pocket presence, meaning when forced out of the pocket, he is more uncomfortable. You cannot say he is ineffective outside of the pocket, because that would be false, but Brady does have his tendencies. The x-factor for Philadelphia is Fletcher Cox. If he can rush Brady straight up through the middle he can force him to the outside. However, the Pats offensive line’s main goal is to protect Brady, so they won’t make this easy. Cox’s way in is through C David Andrews. Flood him with pressure and Cox can get to Brady. The bulk of responsibility falls to the opposing head coach, because coach Belichick is guaranteed to have studied every aspect of other coaches’ styles. He’ll know what you will call in the fourth quarter, in certain situations and more (this is not a subtle hint at Spygate, but rather a nod to his experience as a coach). The best way to combat this is to mix things up, but it typically comes at the risk of moving away from what has been working. Coaches need to take risks against the Patriots such as throwing in unorthodox coverages, rushes, etc. If it doesn’t’ work, the Pats will pounce, but if it does, you’ve held them off for that much longer. 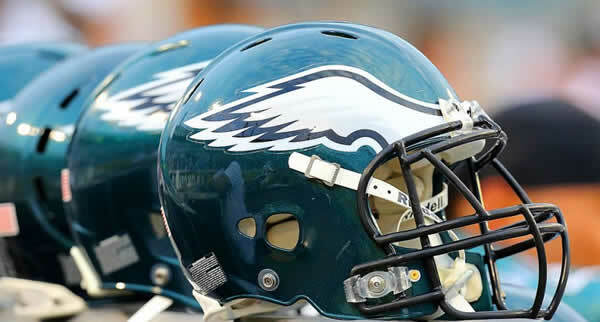 Perhaps the most crucial thing Philadelphia can do is discard the mental stigmas associated with playing New England. Players, fans and analysts alike are aware what they have pulled off in the past. This is why legal football betting sites put them as the favorites in each of their matchups. However, you can’t defeat yourself before the game even begins by expecting them to pull off a dramatic comeback or expecting them to be perfect. By no means should you take them lightly, but don’t take yourself lightly either. Philly coach Doug Pederson has already addressed the mystique attached to New England, urging everyone to just move past in and focus on the task at hand. All Super Bowl betting odds point towards a Pats victory, but if the Eagles can stick to this sort of game plan, they’ll give themselves the best chance of winning.